Please email emilee@la-restaurantgroup.com to inquire about catering your event. Chef Raphael Francois, pastry guru Sally Camacho, and managing partner & wine director, Jordan Ogron. Tesse marries contemporary French cuisine with innovative cocktails and a unique wine program, to create a truly singular dining experience. Beef Tartare "A L'huile D'olive"
Service was extremely slow, I sat bar for 10 mins before someone helped me. 2 of our dishes were undercooked. They could care less that our dinner was ruined. We returned the undercooked. They didn’t offer us anything for messing up our meal. It's a huge disappointment to get dressed up on a Friday night, just to be treat poorly by restaurant staff. Shouldn't a restaurant be a fun experience? The greeting staff at door were dismissive, already souring the upcoming experience. The young lady waiting on our table made it clear she didn't care for us, making us very uncomfortable. The menu is so complicated it's work to figure out what to order. By the time we ordered and the food came we just wanted to get it over with. Not fun, not inviting, the food is mediocre and the staff don't know how to make your visit enjoyable. I'd Never go back here nor recommend it. Try hiring staff that enjoy working with people and maybe the food will taste better. Not French but new style american. Complicated dishes at high prices in a boisterous environment. Full of people enjoying the experience. I had driven by this place and it looked appealing so I figured out its name and made a reservation. Once we got inside there wasn’t as much ambiance I was expecting. Crowd was eclectic. Service was good. we asked for bread while we were waiting for our food to come and was told they bake fresh bread. Few minutes later the same waitress we asked for bread from brought us a platter with bread and cheese. We assumed this was it and started to eat it. About ten minutes later a plate or bread and butter was brought out. We were confused. Then our own waiter came by and said the first plate was not intended for us and was brought in error. We apologized and felt bad for eating it but we really didn’t know. When bill came we were charged for that bread and cheese platter and for the bread and butter ($6). We didn’t have a problem paying for it but I would think restaurant would’ve covered it since it was their error and we didn’t know. fabulous ambience and food . loved everything we ordered. Desserts were spectacular. we will definitely be back. Wowww wowwwww what an incredible experience. The drinks were spot on and the mixologist made it to my liking. The food was such high quality and flavorful. I couldn’t recommend this place enough. Our mixologist also happened to be our waiter and he made the whole dining experience impeccable. Creative and delicious food, helpful service, parking space, fair-priced. I'll come back for sure. Hubby & I were excited to try this based on recent positive reviews & the chef. We were put off by being told that we needed to order all our food at once & that they recommend you order 3-4 3 oz glasses of wine to taste, which gets pretty expensive. What if they just welcomed you tasting a wine or two that you were interested in (for free!) prior to your ordering by the glass? Plus were asked 2x to order our food before our drinks even arrived. So tired of being told by a restaurant the way we're going to order, "enjoy" & even pay for a meal, especially for an expensive night out. On top of this, our server recommended too many dishes--because, you know, family style & meant to share. 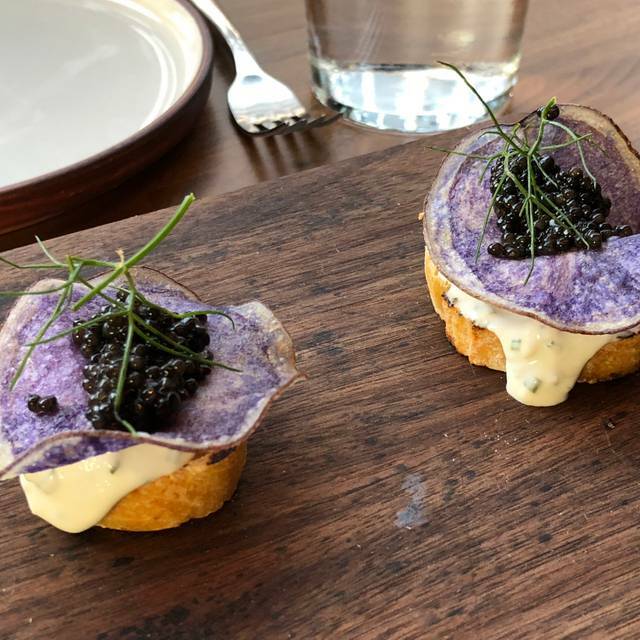 If we could have ordered an appetizer or two when we ordered our drinks then we could have gauged the rest of our meal from that point, instead of feeling both rushed and overwhelmed by all the diff servers and the converging plates. I will say that portion size is generous, so you truly do not need to order more than 4 dishes total. Food was good not great. We enjoyed very much ! Food great and service great only draw back a bit noisy in restaurant. Good food and great ambiance. You can tell the menu is designed for drinking with large charcuterie board options and heavy seasoning. 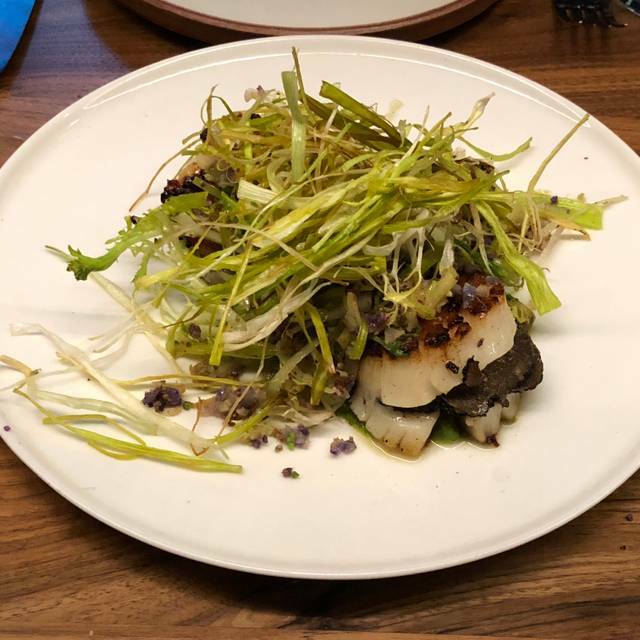 Only thing that we were unhappy about is the $40 scallop dish had 2 scallops. That was significantly over-priced. I've been to Tesse 4 times since they opened and the food, drinks and service has been top notch on every occasion. Some of my favorite starter items are the endive salad, beef tartare, hamachi crudo and chicken liver parfait. The meat and cheese selections are delish as well. The whole daurade and T-bone steak are stand out main courses. And don't miss the deconstructed snicker bar for dessert. The Cardi Beet and Melon Degeneres are great cocktails and they have an impressive wine selection as well. One of the best meals I’ve had at any restaurant in LA. Blown away. Above and beyond my expectations! The cauliflower was fabulous as was the charcuterie we ordered, but we found the oysters on the steak off-putting. Our server was great until he left early — which seemed odd for this type of restaurant. I appreciated the 3-ounce-pour option and enjoyed trying different wines. We were looking forward to a birthday celebration at Tesse, and the evening started out promising, with a lively energetic ambience and attractive decor. We were seated promptly by friendly staff, and our waiter was enthusiastic and personable. He recommended their specialty dessert (soufflé) which required that we order it with dinner, so we took him up on his suggestion. 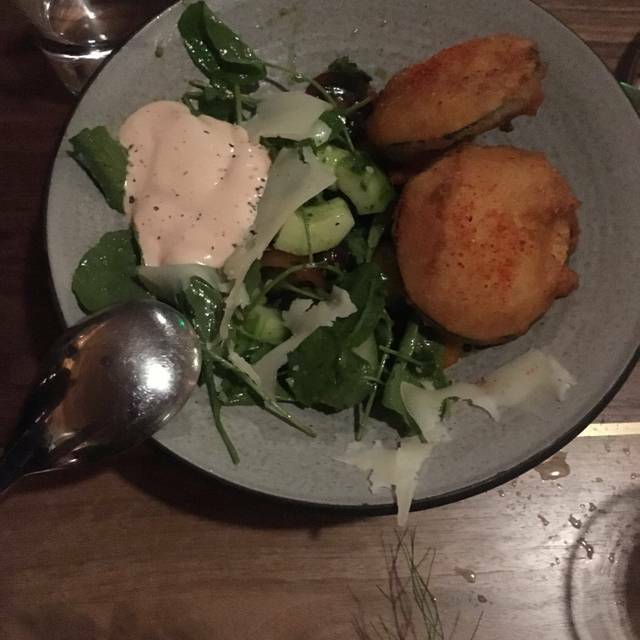 The shared small plates we ordered should have been delicious by their description, but all three were surprisingly bland and uninspired (roasted cauliflower, beef tartare and fried artichoke with gazpacho). After 2 hours and 2 requests/reminders, we still didn’t have our soufflé, despite having finished dinner an hour earlier. It turned out they had never even placed the order. We won’t be going back, and can’t recommend Tesse, sadly. Had high hopes. There were a few standouts - the cocktails; the chicken liver parfait; the vanilla soufflé. But overall the food is quite rich (why smother the delicious chicken in a thick butter sage sauce?). Portions are also quite large (the server recommended 6-7 dishes; we wish we’d only ordered 3-4). We’d go back and stick to a few appetizers. Service was excellent however. And the sommelier made great suggestions. Tesse was amazing! From the service to the food to the cocktails -everything was perfect. The only noticeable lag in service was when it got busy and we had to wait for our check for a while. Other than that, it was a very enjoyable experience. 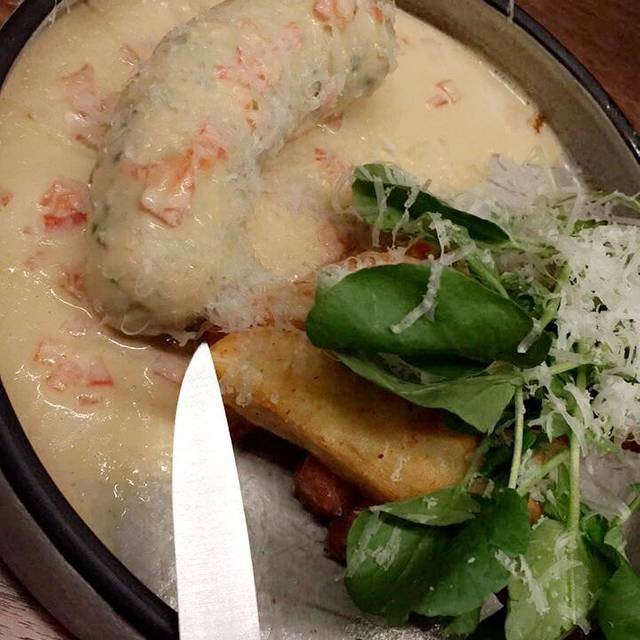 We love to go to Tesse because the food is not only delicious but so creatively conceived. This makes for a very unique dining experience. When we arrived, we almost left because the music was so loud. We decided to stay. Our waitress Kate was terrific. Friendly and very knowledgeable about the menu. Greeted us with champagne for our anniversary. Food was delicious if a bit pricy as were drinks. A good place to go for a special occasion. In the end, I was glad I stayed, even got used to the loud music. Food was delicious but overpriced compared to similar places like Bestia or Republique. We were also seated 20mins after the reservation time and there were empty tables. I find this pretentious and rude, if they are doing this to show off demand, they should stop it. The hostess wouldn’t even apologize for the wait time, she wouldn’t even talk to us/smile. Considering we went there for my partner’s birthday, it was definitely a vibe-killer. 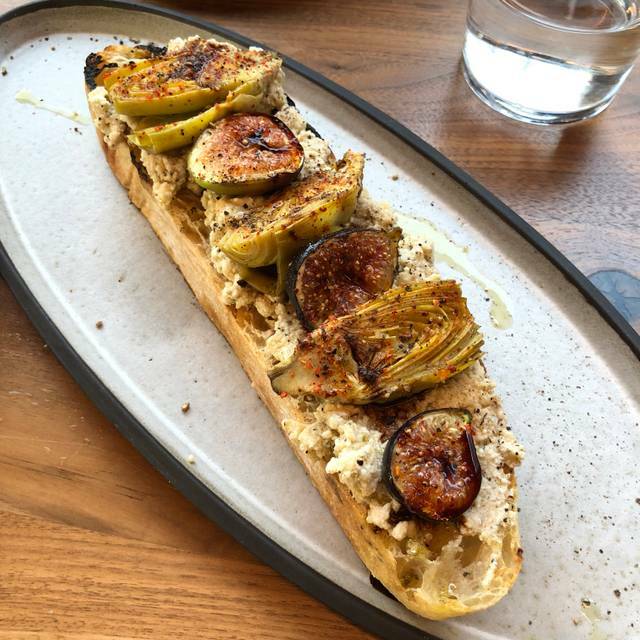 The artichoke and cauliflower appetizers are innovative and delicious. 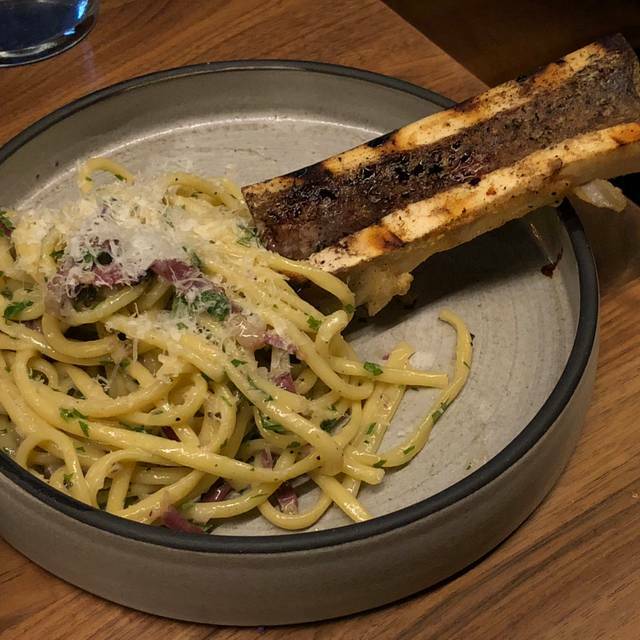 The bucatini with bone marrow and salmon are excellent. Have tried several drinks and desserts - all good. Cannot go wrong with any of the dishes. Becoming one of our go to restaurants. 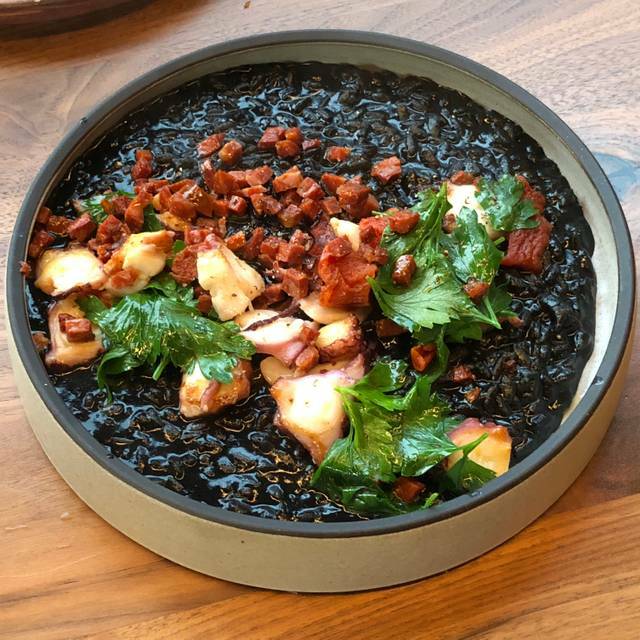 I love Bestia and was disappointed by my experience at Tesse. The hostess was very polite and attentive. It took several minutes before our server came over, but it was Saturday night so it's OK. But we were crammed next to another table and it was very loud. The food was pretty good but the main problem is -- my girlfriend went to the bathroom and when she left the stall, a Tesse Staff Member almost ran into her holding a bunch of chairs. Not a big deal, but he didn't apologize and even gave her a long, mean look. I was disappointed by the experience. The wine menu is great and the food was pretty good (but not stellar). Someone also called the next day to ask how the experience was, which I appreciate. I don't think we will be going back. I'm sure others will like it more. In fact, a gentleman sitting next to us kept raving about the restaurant, how much he loved the food and the wine. To each is own. Loved, loved, loved this restaurant. It's been on my radar since it opened and so happy we finally did it. Service was fun, super friendly and on game. The food was portioned out perfectly. The Some was the Bomb and lastly the desert wine tasting was an adventure in and of it's self. My only regret was not ordering the souffle. I'll Be back!! 5 star. Celebrated my bday at Tesse and I highly recommend! The food was delicious, service amazing, and the restaurant itself is beautiful. Food is good but priced high. Also we didn’t care for our dish and we told our waiter and we thought we would get something a complimentary dessert or any acknowledgement. But other then a polite I’m sorry nothing additional. Which is typical at restaurant with these prices. Food was really good, so was our waitress. But the restaurant was so loud we had to shout at each other, I was hoarse when we left. And people kept cramming into the bar until they were standing right next to our table, very unpleasant. The hostesses were useless about trying to move the people at the bar further from the faces of people eating dinner next to it. Expensive and the wine glasses are 3 oz pours for regular size prices. I wouldn't go back. Very creative food with attractive presentation. The servers helped us select among the small and large plates for a very satisfying meal. Great night out in a beautiful space on sunset. The food was more contemporary than French but I had no problem with that. Standouts were the chicken liver parfait and garlic and short ribs. It should be noted that my table mates and I didn’t move past the small courses as they were large enough to share and we ordered a lot of them. Only misfire was the lobster sausage and duck fat fries. Maybe this was because it came out after the richer short ribs and it’s subtleties were perhaps undetectable to my palate at that point. I can’t really say. Other than that, everything was excellent - especially our patient, attentive, and charming server. 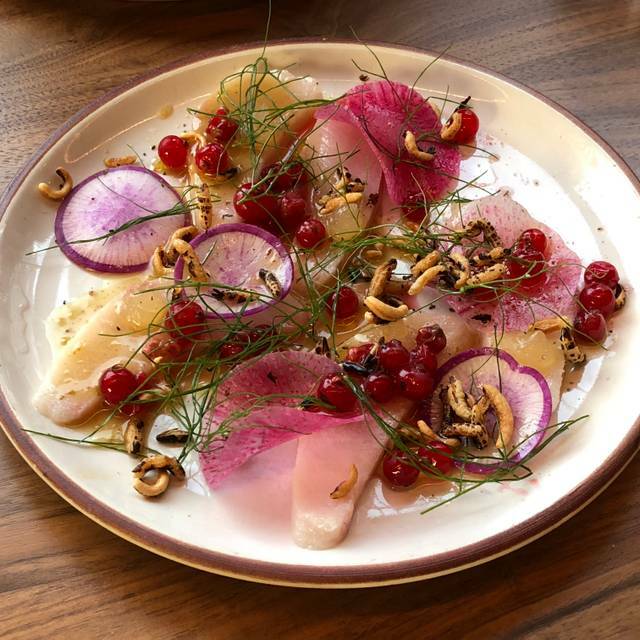 Do yourself a favor and check out Tesse for a fun, tasty, and sophisticated night out. Highly recommend Tesse. Fun, approachable and easily shred menu makes for one of the best restaurant experiences in LA. Great wine list, knowledgeable staff, parking is a breeze out front. Great little wine shop attached as well. Looking forward to multiple visits to explore the large menu, can't say enough great things about the food and service, great decor too. Overall EXCELLENT! Charred cauliflower -> especially enjoyed the brightness of pomegranate. Onion rings -> terrific, crunchy and not oily. Blue crab simplissime -> rich and delish! Pappardelle -> perfectly prepared pasta, great flavors. Jidori chicken -> very nicely prepared, crunchy skin and moist... flavorful! Vanilla soufflé's -> great meal can hardly be topped by dessert, but dessert was BEST ending! 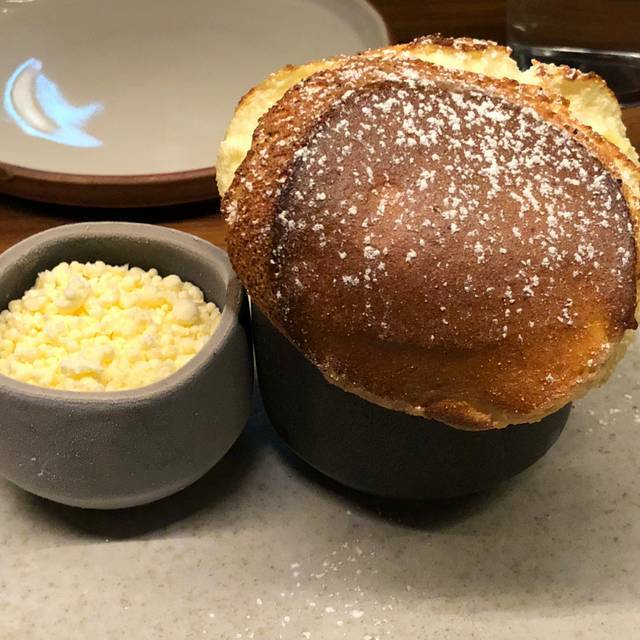 Really one of the best souffles we ever eaten. Alexander Valley Cabernet Sauvignon -> just a glass, but good compliment to meal. Service -> professional in all regards and especially friendly! Atmosphere -> really terrific beautifully designed room! Lively noise level. Only criticism would be cocktail... Manhattan -> not the best. Just didn't recognize the usual favorite flavor notes here. Was it the rye, bitters or the vermouth... ?? Didn't have a second. ANYWAY -> we'll be back and next time with friends to sample more dishes. Even though the food was good it wasn’t very memorable. Most likely won’t return there however would recommend everyone goes once to try.